Dream Theater have released an animated video for their new single Paralyzed. The song will feature on the band’s upcoming album Distance Over Time, which will launch on February 22 via InsideOut Music. 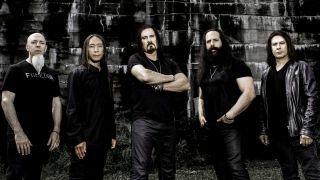 Dream Theater previously revealed the tracks Untethered Angel and Fall Into The Light from the follow-up to 2016’s The Astonishing. Distance Over Time was mixed by Ben Grosse, mastered by Tom Baker, while the cover art was created by Hugh Syme. Dream Theater will head out on tour across North America from March and have confirmed a run of European dates, which includes sets at the UK’s Download festival, Hellfest Open Air and Warsaw’s Prog In The Park.